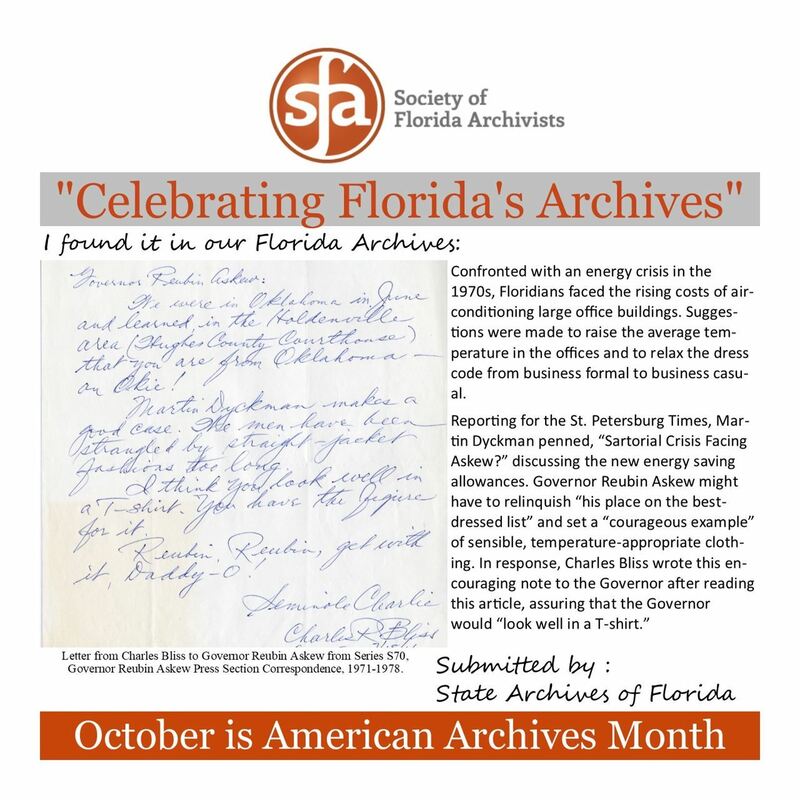 Today, October 1st, 2018, kicks off the start of American Archives Month! 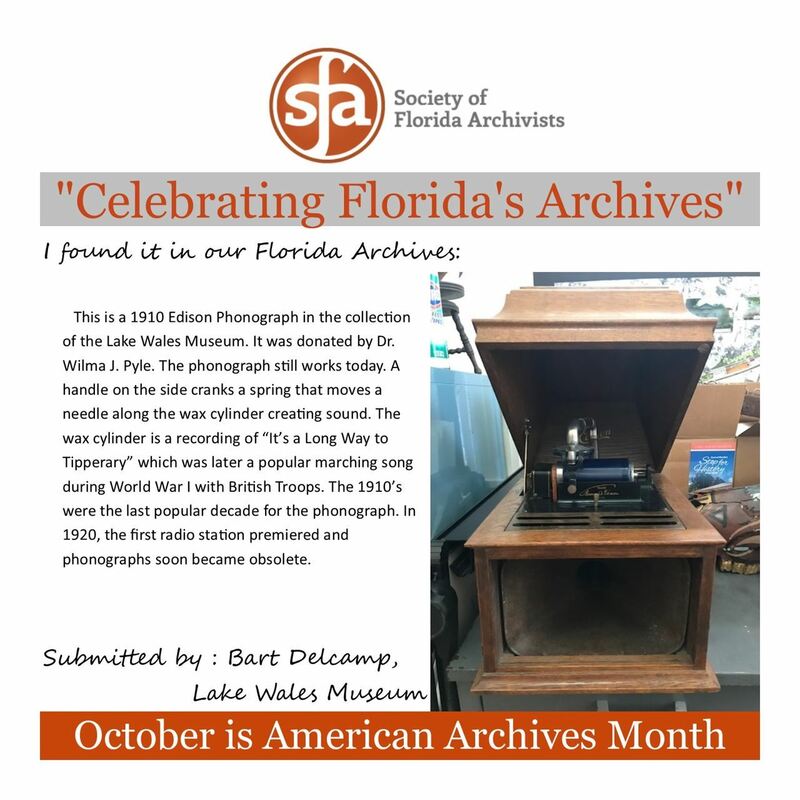 American Archives Month is a collaborative effort to highlight the importance of records of enduring value and is organized through the Society of American Archivists. 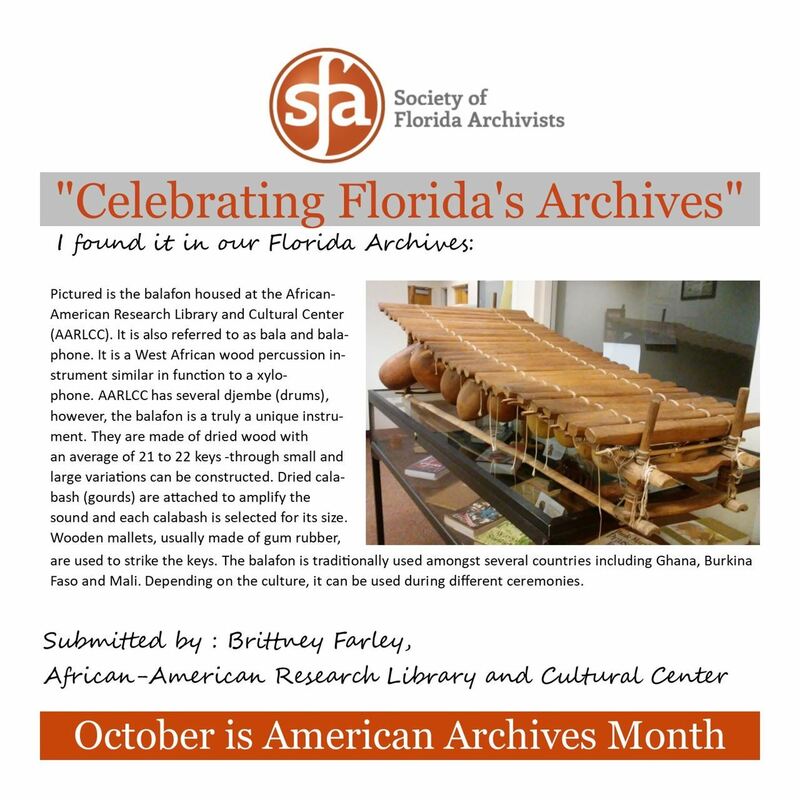 Did you know that October is also Florida Archives Month? 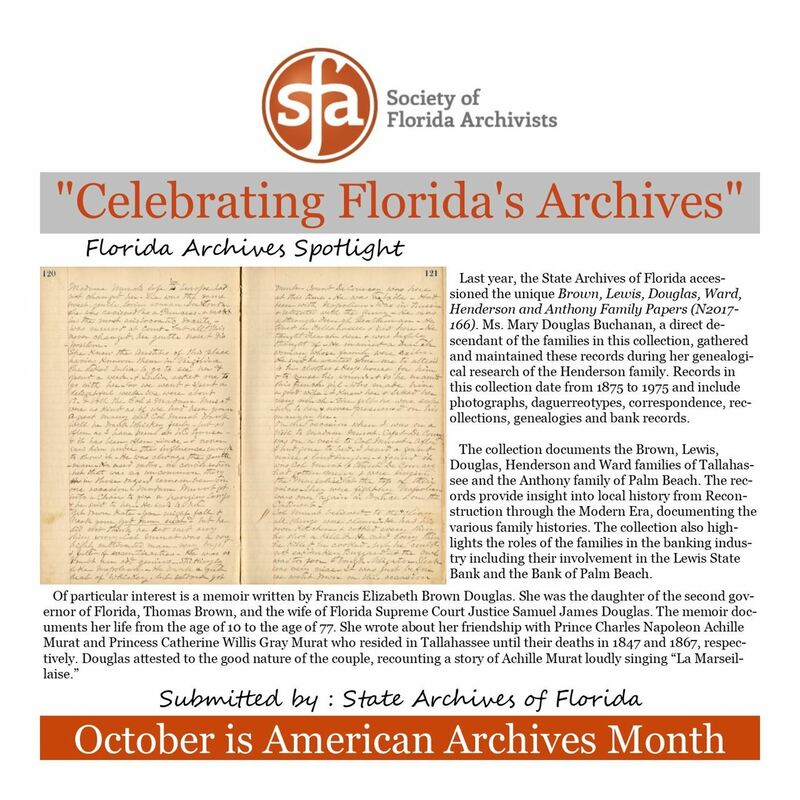 Florida Governor Rick Scott signed a proclamation designating October as Florida Archives Month in 2013. 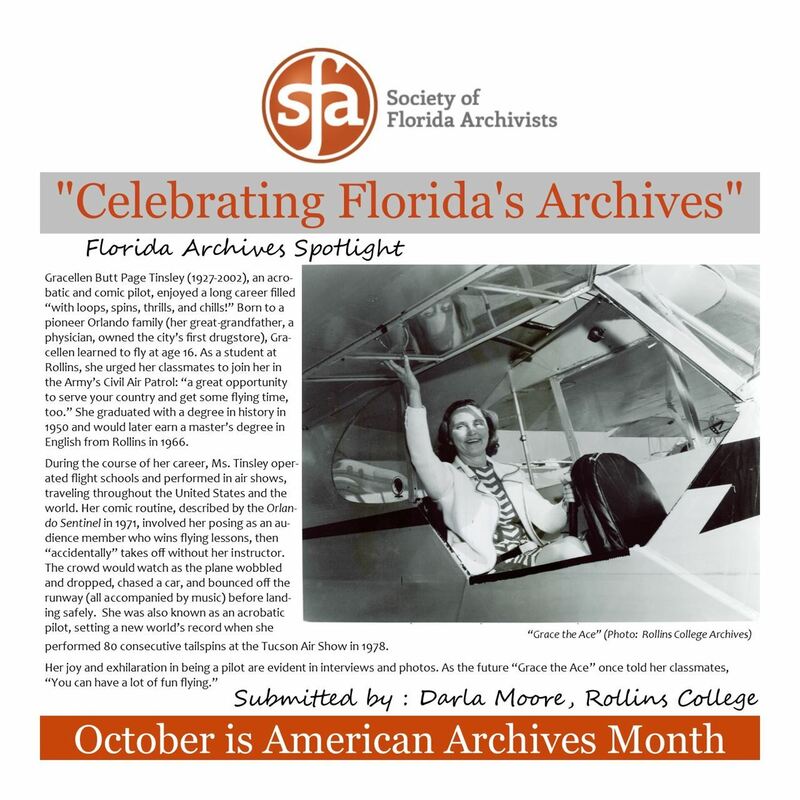 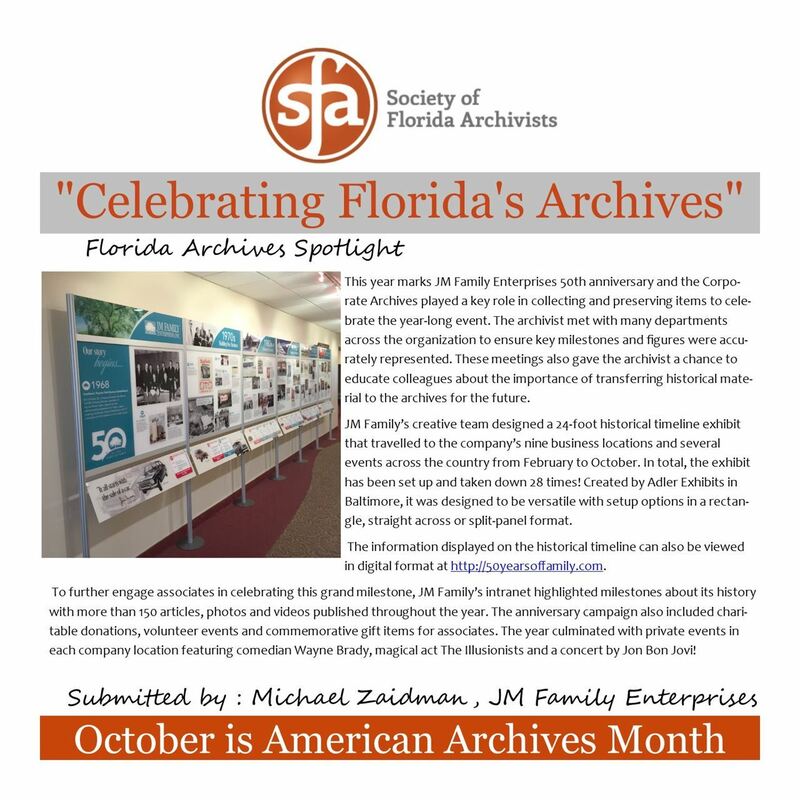 Promoting archives in Florida, the Archives Month Committee will be showcasing "Found it in the Archives" and "Archives Spotlight" posts through our listserv, our Facebook, our Twitter feed, and our website.